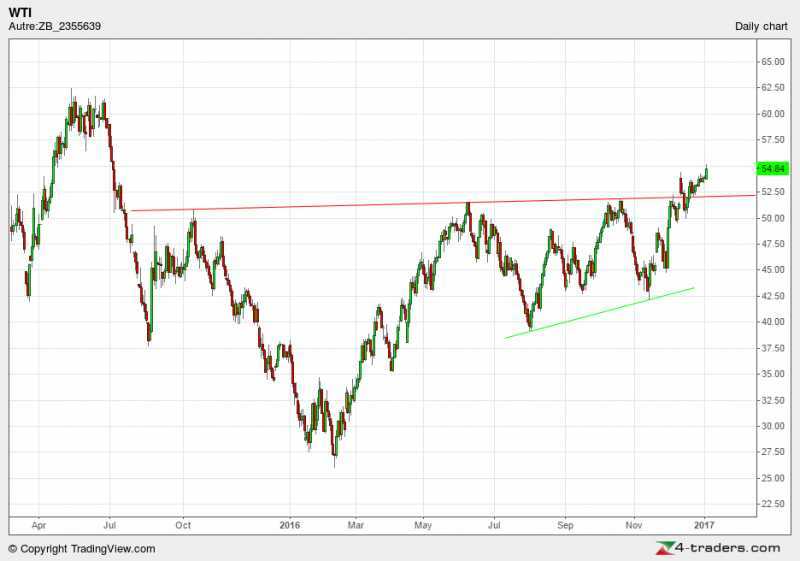 Crude Oil WTI has finally established an uptrend! Looking at Crude, been mad busy, so couldn't post, but as i mentioned below i went short OIL- US crude (on IG markets) at 5497. This is only chart on crude i'm able to post, but i double checked this on IG charts as well. This is in this rising channel atm. I see a bearish RSI Divergence, which i saw monday am, which could be sign this rally is not the real deal imvho. The rsi has also failed to break above the resistance trendline. I think this possibly come back down to $43 as a worst (or best)case. I will close some around 5175 area, which was the breakout area. lets see how it goes. Last Edit: 14 Dec 2016 14:51 by Trendfriend. Bull flag targets are 58 for WTI and 85 for PMO. 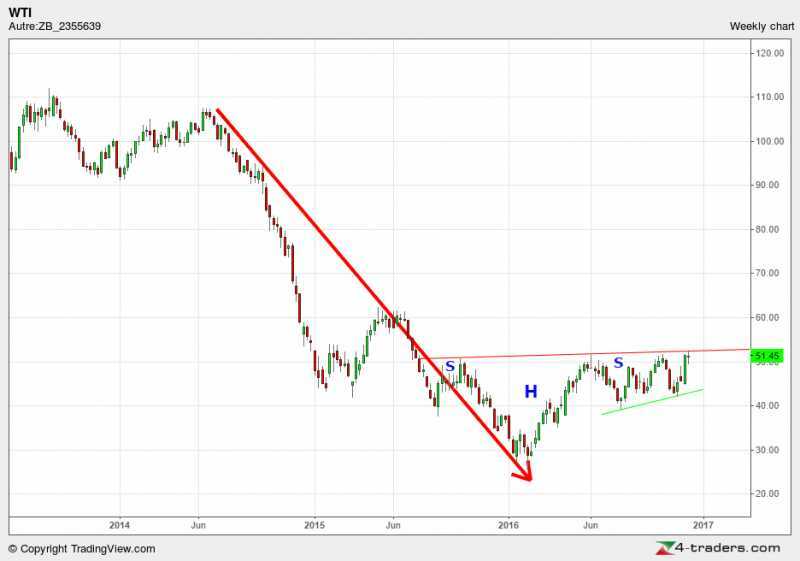 PMO, Tullow and Ophir - all have been following the massive downtrend that started in Crude WTI almost 2 and a half years ago! If you look at their Higher frame charts - weekly and daily it would be clear that they are range bound and all 3 are following the Crude WTI price chart! A few charts here with potential trade set ups, comments (and corrections off course ) are always appreciated. Looks bearish with a 180p(falling daily) area target showing at the bottom of the trend channel, not sure if it's worth shorting, but 180p worth a long, if it hits that level. Next Premier oil - PMO. above 69.5p this should hit 80p imvho, looks like a bottom at 48.5p here, and maybe ready for moves higher. Stops below 60p or 48.5p according to ones own r/r criteria. This is holding above the pivot level at 300p, and while above that level a rally to 465p looks possible. The daily here is imminent golden crossover of the 50 and 200 day ema lines. At the very least that should mean a long term bottom is in here, and as long as 82p (20 day ema line is held) a break above 91.5 shouuld see 100p + here imvho. Last Edit: 11 Dec 2016 14:15 by Trendfriend.